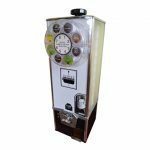 The KKUS100 is an an all-mechanical machine that requires four quarters in order to operate. 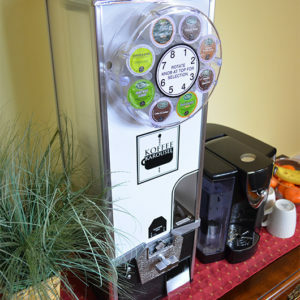 It is a fun and easy way to dispense K-Cups at a vend price of $1.oo each. 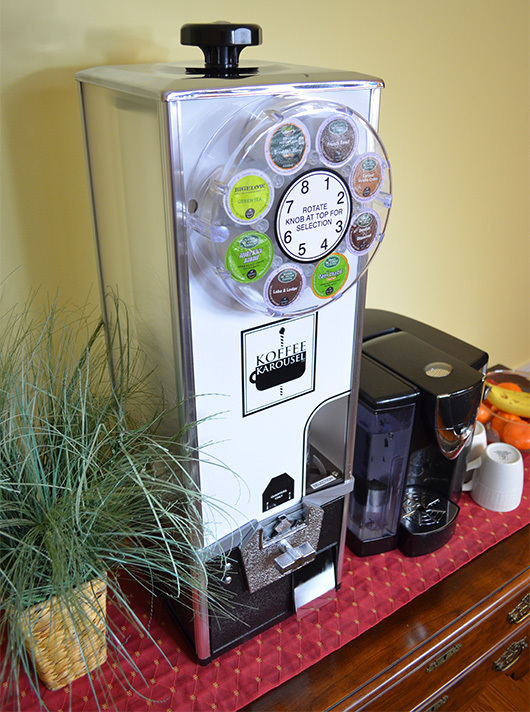 The Koffee Karousel™ is a patented table top vending machine produced by KK Manufacturing, LLC of South Windsor, CT. The machine is designed to reliably dispense single-serve coffee pods, and provides a low cost means for small businesses to control, dispense, and potentially profit from their inventory of single-serve K-Cups®. The K-Cup® is a registered trademark of Keurig, Inc.
© 2017. KK Manufacturing, LLC. All rights reserved.